In a federal polity, the states are autonomous in their own sphere and they have exclusive right to govern on the subjects enumerated in the State list and concurrent powers on the subjects enumerated in the Concurrent list. The states are obliged to govern by strictly adhering to various laws in operation and specifically in compliance with the provisions of the Constitution of India. When a state functions contrary to the established principles of law or when there is a serious breakdown of law and order situation in a state, the Constitution of India empowered the Governor of the respective State to send a report to the Union Government to apprise the latter of the prevailing situation in the state. The aforementioned principle is based on a fundamental premise that a tranquil state is essential for ensuring the tranquility in India. Hence, unambiguously the Governor of any state acts as a representative of the Union Government and onus lies squarely on him to constantly apprise the Union Government about the affairs of the State Government. 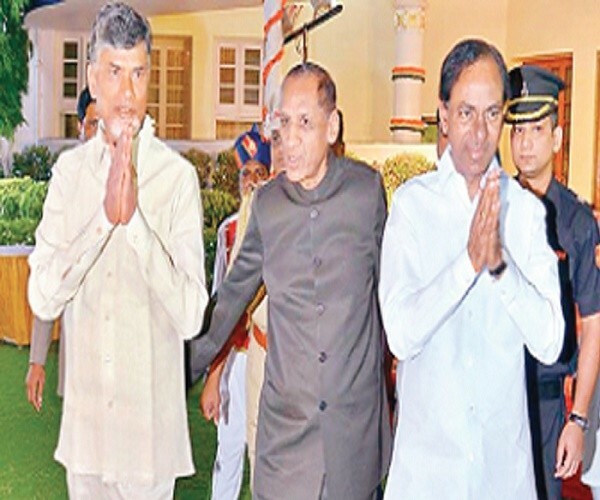 In one of his recent media interactions, the Chief Minister of Andhra Pradesh accused the Governor of intervening in the day-to-day affairs of the state. His specific allegation was pertaining to an incident where the Governor has sought a report from the Director General of Police on an attack perpetrated against YSRCP supremo Y S Jagan Mohan Reddy in the Visakhapatnam airport. This incident has stirred up a hornets’ nest and the CM overtly accused the Union Government of swaying the Governor to fulfill their oblique motives. He further said the Union Government is contemplating imposing President’s rule in the state on flimsy grounds. From the above it is as clear as daylight that the Governor of the State under Article 154(1) is empowered to exercise the executive power of the State either directly or through officers subordinate to him. The literal interpretation of Article 163(1) categorically lays the onus on the Council of Ministers headed by the Chief Minister to discharge all executive functions within the State whilst the government commands the confidence of the Lower House. Hence, seeking report from the Director General of Police bypassing the Chief Minister or elected government sets a very bad precedent. Those who are flaking the decision of the Governor are expressing serious apprehensions on the office of the Governor itself and their predominant concern is: In a federal polity, Governor who is the representative of the Central Government if acts with a mala fide intention might undermine the very existence of the states’ autonomy. The Supreme Court of India which is the final interpreter of the Constitution of India in a landmark case of “Ram Jawaya Kapur Vs. State of Punjab” pronounced that the Governor has no sole discretion except under those circumstances expressly authorized by the Constitution of India and hence he should unequivocally act under the aid and advice of the Council of Ministers, when they command majority. Therefore, the discretion exercised by the Governor to apprise himself of the law and order situation the State of Andhra Pradesh from the DGP militates against the fundamental grain of constitutional propriety. a) Under Article 200 the Governor has discretion to reserve bill passed by the State Legislature if the bill seeks to derogate the powers of the High Court and such derogation might endanger the position which the High Court is designed to fill by the Constitution. b) Under Article 356 the Governor can send a report about the breakdown of law and order in the State to the President of India for imposition of State Emergency. In this case, he can exercise his discretionary power; however, the courts in India have narrowed this discretionary power of the Governor to ensure stable governance and to keep mala fide intentions at bay. c) The Governor can also exercise his discretionary power to ask any political party leader to form a government when no party secures requisite majority. Even in this case, his discretionary power is curtailed by the Courts through several progressive verdicts like S R Bommai Vs. Union of India. The implementation of Sarkaria Commission recommendations, constituted for ascertaining the balance of power between the Union Government and the State Governments, is long overdue and its objective implementation is the need of the hour to clear any suspicion on the biased role of constitutional functionaries. The Constitution clearly defined the roles of various constitutional functionaries for ensuring smooth governance and our courts in myriad cases have interpreted various contentious provisions conclusively. Previous article#BigQuestion: Can KCR’s Head Start In Telangana Backfire On The TRS In This Elections?